More energy price rises on the horizon? With Scottish Power recently announcing a hike in its gas and electricity prices, there were fears that other large energy suppliers could follow suit. 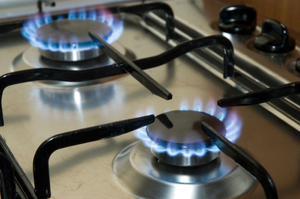 On Tuesday, British Gas gave a strong hint that their tariffs could be next to rise. As reported in the Daily Telegraph, the chief operating officer of British Gas, Ian Peters, told MPs that price rises were likely. He was speaking to the Commons Energy Select Committee, which is looking into wholesale energy prices. Mr Peters said: "Unless there is a fundamental shift in the way the commodity market are going to play out in the next few weeks then, on the balance of probability, we will reluctantly put the price up." It was revealed by energy watchdog Ofgem recently that wholesale energy prices have risen by 30% in the past six months. Many people are now switching to fixed-price energy deals to beat the rises and maintain cheap gas and electricity supplies.